Turmeric tea is a traditional remedy that has been enjoyed by many cultures for thousands of years. A spice that is best known for giving flavor and color to Asian dishes is also the basis for a healing tea that may be enjoyed when you are having stomach or other digestive issues. This is a healing herb that is warm and spicy and that can be used to create many healthy and flavorful beverages. Come and learn more about this root tea. Turmeric, or curcuma longa in Latin, is a tropical perennial plant that is native to southern India and Indonesia. It is now cultivated throughout many other regions with tropical climate particularly in southern Asia. For more than 5000 years, this plant has been harvested for its knobby rhizomes, which are similar to that of ginger, but thinner and deep orange in color. The plant itself grows to a height of 90cm tall (about 3ft) and large lance-shaped leaves. Its flowers are yellow to white. Turmeric is also known as Indian saffron, due to its deep yellow-orange color that is similar to that of actual saffron, which is much more expensive. In India it may also be called "haridra" or "hald". Turmeric has long been harvested and sun dried for its famous anti-inflammatory properties. Herbalists in India discovered the benefits of this herb a long time ago and quickly incorporated it into their Ayurveda traditional medicine, especially to treat digestive problems. 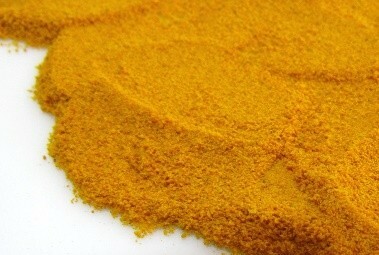 Several Asian cultures used turmeric either for culinary purposes or as a natural remedy. For example, in China, the rhizome was used to treat depression and brighten one's mood. In India turmeric would also be used for many religious ceremonies as an auspicious symbol. It was the Arabs that introduced this spice to Europe in the 13th century, but only in more recent times has it grown in popularity in the West. The flowers were considered to have an exotic fragrance and would be used to make perfumes. This spice is still widely used today in many culinary cultures, from Indian, Thai, Malaysian, Nepalese to South African and many Middle Eastern cuisines. 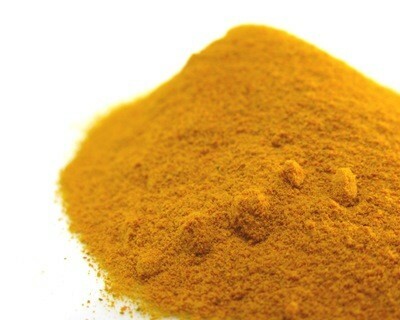 It is a main ingredient in curry powder and so it is a staple in curry dishes, giving them their distinctive yellow color. 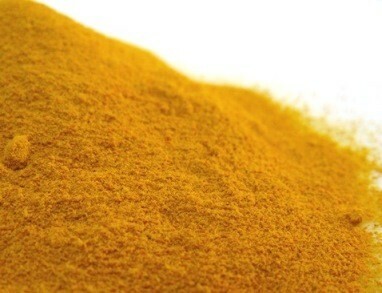 Turmeric also gives color to commercial mustard preparations. 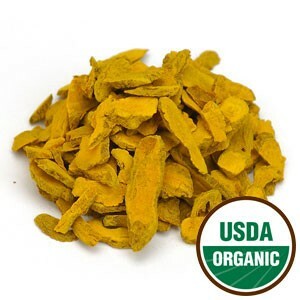 Turmeric dried root is highly valued today for its medicinal purposes, as a food flavoring, but also as a food preserver, as it helps to protect food from sunlight. 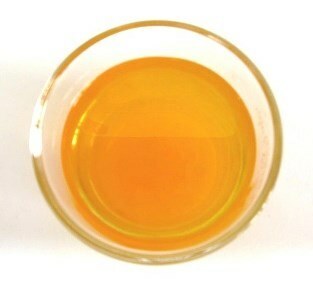 Many health benefits may be enjoyed from drinking a simple cup of turmeric herbal tea. Turmeric tea is rich in curcumin, which acts as an antioxidant and anti-inflammatory agent accounting for the many benefits this tea can provide you. This root is also rich in vitamin B6, dietary fiber, iron, magnesium and potassium making it not only a spice full of color and flavor, but also a source of nutritional elements. Let's take a look at the main benefits of turmeric herbal tea. The main health benefit of turmeric tea is its ability to help improve your digestion. This root tea is said to help stimulate digestive juices, which may reduce indigestion and acid reflux. It is said to soothe a nervous stomach, calming you digestive reflexes to stressful situations as well as relieving pain from an upset stomach. It may help to treat some gastric ulcers, but further study is still required. Turmeric herbal tea may also come in aid of your intestinal tract by treating irritable bowel syndrome, relieving Crohn's disease, decreasing the risk of ulcerative colitis, and even fighting off parasites that could be making you sick. It may also feel less bloated and gassy. It may also help with weight loss as it may speed up the digestive process that breaks fats and carbohydrates, boosting the digestion of proteins. It is said to be beneficial to fight obesity as it helps to prevent the buildup of fatty tissue. Turmeric tea may help the liver to function better, reducing swelling and thus not only helping your body to process fats, but also helping to deal with bad hangovers. And the best part is that this tea may start helping you as soon as you put it in your mouth where it helps to reduce bad breathe and fight gum infections. It does this by killing bacteria that could have later caused you problems further down in your digestive tract. While this herbal infusion may help prevent gallstones from forming because of the amount of curcumin it contains, if you already have gallstones, then you should not drink this tea. Taking a cup of turmeric tea may help strengthen your immune system, helping to prevent cold and flus. At the same time it may also help speed up the recovery from these diseases when viruses and bacteria manage to cause havoc in your system. 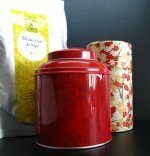 It may also be a good idea to drink this tea when you have a fever, as it is said to help bring down high temperatures. This herbal tea has been considered in traditional medicines as a cleanser, this may have to do with its role in fighting and warding off inflammation. Turmeric infusions may be great for defending the body against bacterial or fungal infections, helping to treat such problems as hives or swollen glands. Turmeric herbal tea may help to relieve inflammation that is causing painful arthritis and rheumatism. Its analgesic action may alleviate joint pain. It is said that this tea may enhance the health of your joints and bones, helping to treat tendonitis, carpal tunnel syndrome, or simply reduce swelling, stiffness and redness. One of the great benefits of turmeric tea is how it is supposed to help your circulatory system. It is said not only to boost poor blood circulation, but also strengthen the whole system. Drinking this tea may help prevent high levels of bad cholesterol in your blood, as it may prevent plaque buildup in the arteries that could cause heart disease or stroke. It is considered a blood cleansing tonic as it is said to prevent blood clots. This blood purifier is a great source of vitamin B6, which is essential to prevent damage to blood vessel walls, reducing the risk of heart disease. At the same time, this could be a great tea for people with diabetes because it could prevent hardening of blood arteries. Turmeric tea may be taken by women as a tonic for the reproductive organs. The beneficial effect this tea has on the liver also helps to regulate hormonal levels making it a great beverage for a balanced organism. This uterine stimulant may help to relieve menstrual cramps as well as regulate cycles. This is particularly good for women who have scanty or delayed periods. A turmeric infusion may have analgesic properties resulting in a natural pain killer, with less of the side effects of some medications. Taking a cup of this tea may help with stress and anxiety, relieving stress and having anti-depressive benefits. As a liver detox, it can help relieve stress and hormonal imbalance that could be at the heart of mood swings and outbursts of anger. Currently scientific study is being done on the possible benefits of drinking turmeric tea to help fight brain degenerative diseases such as Alzheimer's disease. This tea could slow or even prevent the progression of the illness by preventing damaging elements from building up in the brain. There may be hope that this tea may help to block or at least slow down the progression of multiple sclerosis. Curcumin is the main element found in turmeric tea and there seems to be evidence that suggests that curcumin is a powerful antioxidant. Therefore studies are being conducted on the potential benefit of turmeric tea in the fight against cancer by enhancing the liver function and offering you protection. Antioxidants in this tea are said to help in the fight against free radicals, substances that may cause damage to the body on a cellular level, leading the occurrence and spreading of tumors. So there seems to be great potential in turmeric infusions in killing cancer cells and even preventing the onset of cancer in the: prostate; colon; breasts: and lungs. Recent research seems also to suggest that this tea could help in reducing the risk of childhood leukemia. Turmeric tea may be used as a first aid to treat a number of skin problems because of its natural antiseptic and antibacterial properties. Use this infusion to clean and treat cuts and burns, boils, swelling and other forms of skin bruising. It is said to speed up scarring while clearing away bacterial that could infections. This herbal tea may bring relief from skin disorders, accelerating the healing and repairing process of damaged skin, while treating inflammatory conditions such as psoriasis or other scarring problems. If you have acne, consider using this tea topically to clear and heal the skin. It may improve and even prevent acne from popping up all over your face. Take a sip of turmeric tea! The list of benefits of turmeric tea is extensive, but since more studies are still needed, caution should be taken. Start by reading some information that you should be aware of before taking this tea medicinally. The recommended amount of turmeric tea is usually 2 to 3 cups a day, taken only while the problem persists. Drinking this tea for a prolonged time and high doses could cause digestive problems such as stomach aches. Turmeric helps to stimulate digestive juices, but too much could prove to be painful, even causing indigestion, nausea or diarrhea. Too much turmeric may also cause liver damage particularly in people who have a history of liver disease. If you are pregnant then it is best not to drink this tea without the express permission of your doctor as it is a uterine stimulant and could cause serious complications. If you are already at the breastfeeding stage, run by your doctor before taking this tea. Those who have a history of congestive heart disease should avoid drinking this tea. Turmeric could alter the effects of your blood-thinning medication and put you in unnecessary risk. It could also interfere with your blood pressure or blood sugar-reduction medication. Gallstones and bile obstructions are two health problems that could be enhanced by drinking turmeric tea as the production of digestive juices could complicate things for you and cause a painful reaction. People with pre-existing liver problems should avoid this tea in order not to overstimulate this organ and lead to further imbalance in your body. The best way to reap the benefits of turmeric tea is to drink it as a tea. So let's take a moment to learn how to make turmeric tea. Turmeric tea is made from fresh ground root or dried powder. Using the fresh root is considered to be a more potent source of benefits, but if you do not find some available, the powder will do just fine. Start by bringing about 4 cups of water to a boil in a pan. Add a teaspoon of turmeric and then reduce the heat to let it simmer for about 8 to 10 minutes. Optional: add ginger to enhance the flavor and benefits of this as it a similar profile to turmeric. 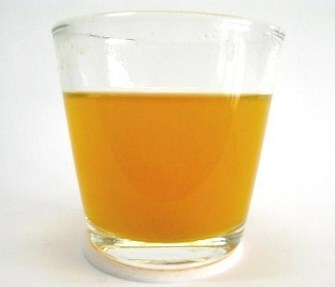 You may honey or lemon juice to sweeten or bring out the flavor of your infusion. Strain when serving in order to filter out any particles of the added elements. Drink 2 to 3 cups of this tea per day, at most. Any more may cause digestive unrest. As soon as the symptoms begin to subside, reduce dosage in half and then discontinue as soon as you have fully recovered. The resulting infusion is vibrant yellow with a peppery hot taste. A tea made for turmeric alone will smell very much like ginger and orange, which is why the two roots blend so well together. 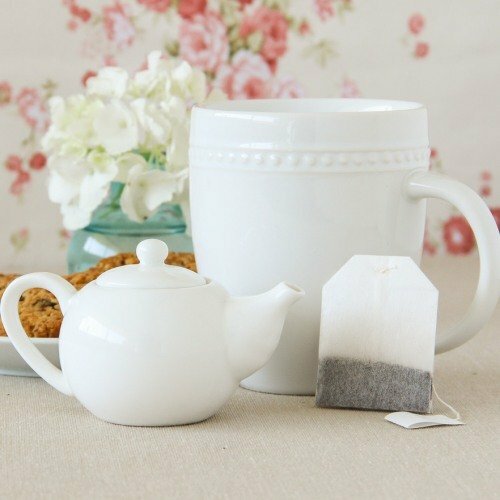 Be careful when brewing this tea because it may cause stains in metal and cloth. 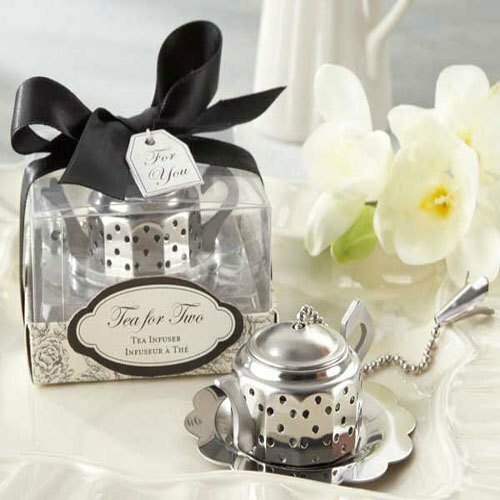 Quickly wash your tea ware with soap and water once you have finished your tea. Luckily your teeth should be safe from the vibrant color of this root tea. To be on the safe side gargle with a glass of water after drinking your tea. Some people may enjoy adding milk to this tea while simmering with the herb. An alternative to honey as a sweetener is brown sugar or even maple syrup. You can always make a great iced tea blending turmeric and a bit of mint over a glass filled with ice. It is said that blending turmeric with black pepper could help your body to better extract health benefits from this herbal infusion. Buy Your Turmeric Tea Today! Click on the image or on the link below to purchase from Starwest Botanicals your Turmeric. You can purchase here either the powder or sliced root, which is sometimes harder to find in regular shops. Make you digestive tea or just experiment with this wonderfully yellow spice. Buy your Turmeric tea now! Add more color to your life with a cup of turmeric tea and enjoy a soothing digestive tea. Give this spicy tea a healing role in your life!